Massive, isnt it? Don't everyone go rushing off to Cleveland at once! 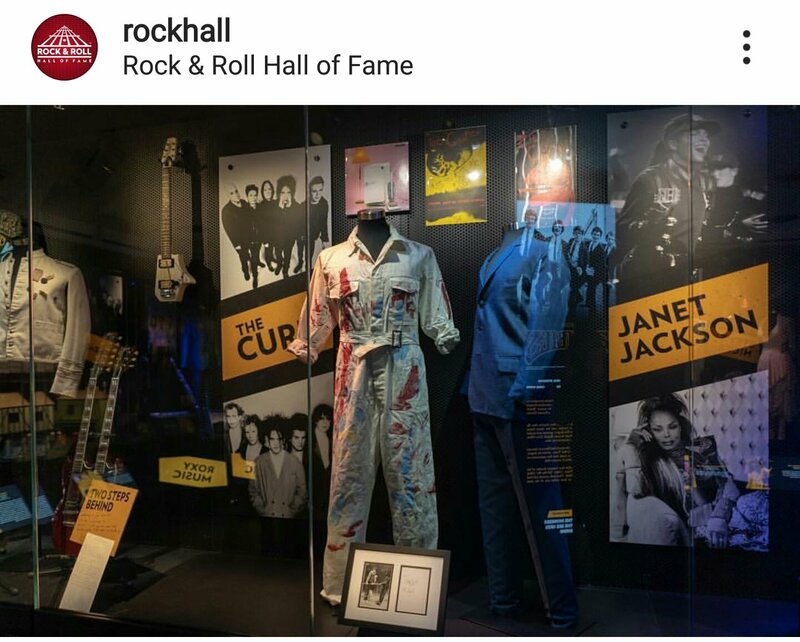 See the other displays on the Hall's Instagram. An interview with Lol, ahead of the Rock Hall induction. It says (I assume confirmed by Lol) that 8 of the 10 Cure inductees will attend the induction. Robert, Lol, Pearl are said to be going, and I would assume the other 4 current Cures will be there, so that's 7, but who is #8? Perry, Boris, or Michael? "That’s despite having sued Smith over rights to the name not long after his dismissal. 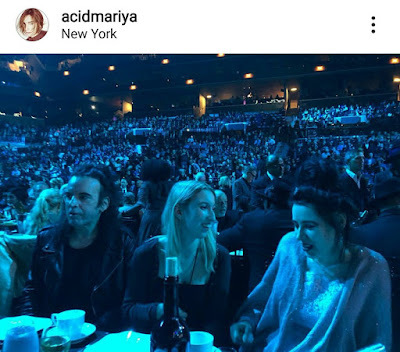 The two have since reconciled their friendship — hence, the reunion shows — which is one reason why Tolhurst will join Smith and six other current or former members of the band on the stage at Barclays Center in Brooklyn, New York, on Friday, March 29, when the band is inducted into the Rock & Roll Hall of Fame as part of the Class of 2019." "Perhaps Thompson, who will be part of the entourage on the Barclays stage, was the “only natural musician,” but the entire band shared a love of music that was as much a part of their DNA as their English accents." Also, and this is just getting silly now, the way these people can't get this simple thing straight, Robert did NOT tell that album news to ME. It was in a radio interview with 5FM in South Africa. You can listen to it here. Update: Heard from Lol and this interview was done just after the inductees announcement was made last year. At the time, he had no idea if any of them would go. So this guy is just speculating on his own, as I doubt he spoke with Robert or Pearl. Encore: Burn, Fascination Street, Never Enough, Wrong Number, Lullaby, Hot Hot Hot, The Caterpillar, The Walk, Let's Go to Bed, Friday I'm in Love, Close to Me, Why Can't I Be You?, Boys Don't Cry. Thanks to @robertmalice for the setlist help tonight. The Cure are scheduled to start at 8:15 pm. In the US that will be 2:15 pm eastern, 1:15 pm central, 12:15 pm mountain, 11:15 am pacific. In the UK that's 6:15 pm, and in France, Germany and Spain it's 7:15 pm. If you're going to the show tonight and wouldn't mind helping me with setlist and show reports, it would be greatly appreciated. Thank you and have a great time at the show! While in South Africa, Robert did two radio interviews. The first was with John Maytham for CapeTalk. This one caused a bit of confusion, as Robert said they had just recorded their first album in 10 years. But when NME picked up the story, they changed "recorded" to "finished", and every other site just copied their inaccurate story, giving the impression that the new album was finished and due out any time now. The second was with Nick Hamman for 5FM. Robert clarified the new album situation, saying "We've just started, not quite finished, recording our first new album for 10 years". 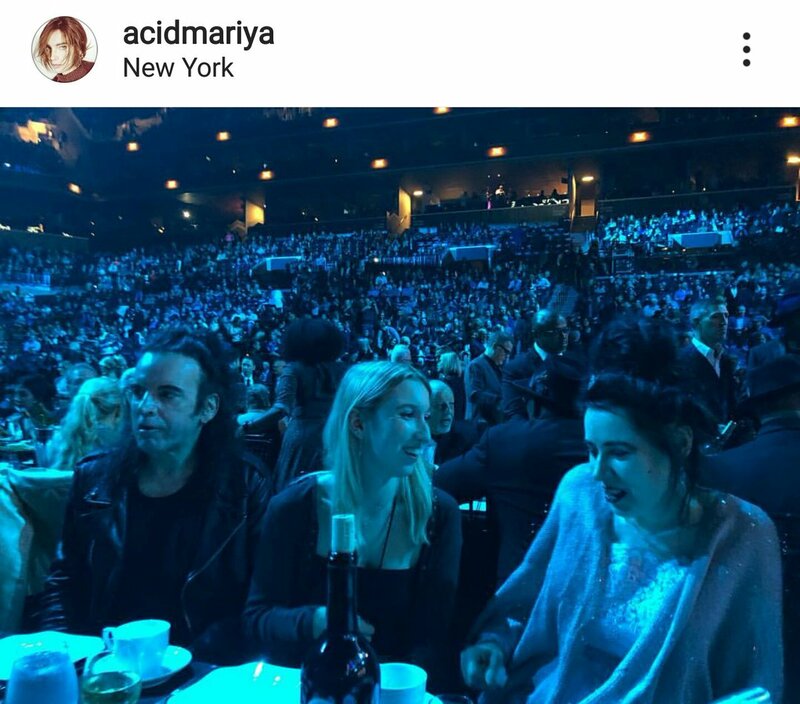 While the Hall says they are attending, there still hasn't been ANY public confirmation from the band. Complete radio silence on this from both The Cure and Trent Reznor. Still, I remain confident that they'll be there and probably play. We'll know for sure very soon. They also announced that the edited HBO broadcast will premiere on April 27th. And there will be a live stream from the red carpet. Our second single ‘Seven Five Eleven’ is out now! Update (March 28th, 2019): Paleo Festial added on July 25th. Official rumor: In this interview, Roger says they are talking about playing North American shows in Autumn 2019, and that the tour will probably end in South America. March 16th, 2019 - Johannesburg, South Africa at Rock on the Lawns. March 21st, 2019 - Cape Town, South Africa at Rock on the Lawns. Tickets are Sold Out! But keep checking, as some keep popping up. Tickets on sale now here and here. Tickets on sale April 3rd at noon. August 8th - 10th - Gothenburg, Sweden at Way Out West Festival. Andy, we all love you so much! Your dignity and strength in facing & battling this is truly inspiring. We are all sending you positive thoughts and all the love in the world to help you in this fight. I hope you know how many people out here care about you and are hoping this goes as painlessly as possible. I truly am at a loss for words over this. All the best to you, Mr. Anderson. And thank you so much! Update (Feb. 26th, 2019): Unfortunately, the bad news is true. Andy Anderson has passed away. Confirmed with Lol. This is hard. We knew this day was coming, but I wasn't expecting it so soon. The one good thing is it wasn't prolonged with years of pain. We don't know the details and might never know, but I like to think it went quickly, and Andy was spared too much suffering. I didn't know Andy & sadly never had the chance to meet him, though I wanted to so badly. But I cherished every interaction I had with him. Every tweet, DM, and email, he was always so kind & always in such good spirits. He was a joy to talk to. Always a laugh & a virtual smile.